J. Edgar Hoover had a very interesting life, don't get me wrong, but unfortunately, director Clint Eastwood has made a very uninteresting film. 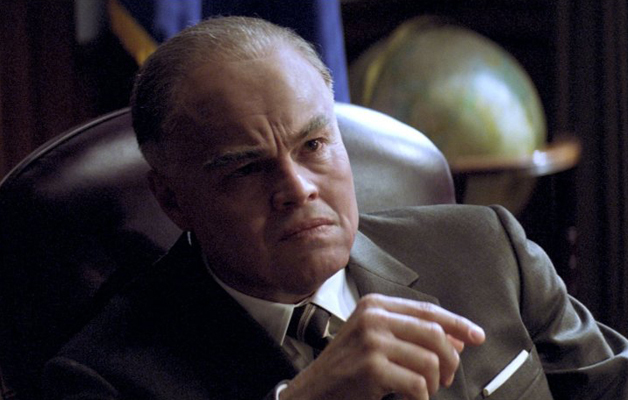 When people talk about disappointments in 2011, Clint Eastwood‘s J. Edgar frequently comes up in conversation. It’s a shame too because the film had so much potential; based on an enigmatic historical figure, starring one of Hollywood’s best and directed by a true legend. So how did it turn out to be such a letdown? Read on to find out. J. Edgar Hoover had a very interesting life, don’t get me wrong, but unfortunately, director Clint Eastwood has made a very uninteresting film. 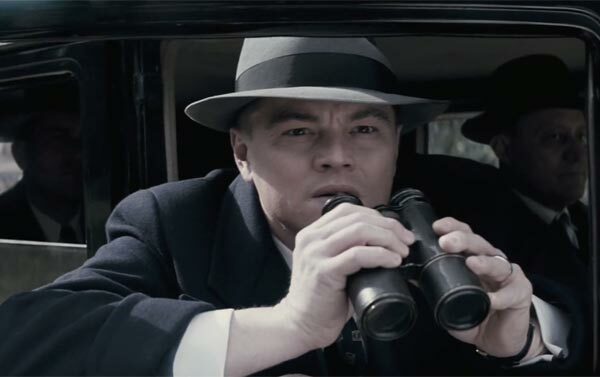 We begin in 1919, when a 24-year-old Hoover (Leonardo DiCaprio) is appointed as the head of a new intelligence division at the Bureau of Investigation and we follow him until 1972, the year of his death. Those who know about Hoover know that there is some great source material here and his life could have made for an incredibly compelling film. While Eastwood does touch on a number of important aspects of the man’s career, the movie is rarely as engaging as it should be and is more often than not flat and dull. The problem stems, mostly, from Dustin Lance Black’s screenplay which jumps all over the place, never settling down and finding a sense of time or fluidity. There’s a real feeling of ‘pieced-together’ as the film sweeps through major events without offering much insight or detail. What we have here is essentially just snapshots of various points of Hoover’s life that are devoid of any depth. We’re constantly being thrown into different time periods and things get confusing real quickly. Once the confusion sets in, so does the disinterest. The lengthy 137-minute running time doesn’t help matters either and there is never any momentum built over the course of the film. Given the source material here, this film really could have turned out to be a thoughtful, insightful and compelling biopic of one of America’s most colorful characters. Instead, it absolutely misses the mark on every count. Granted, it’s immensely difficult to cram one man’s life, especially a man as interesting as Hoover, into a roughly two hour film but still, things could have been planned out a bit better. Despite not putting much prudence on historical accuracies, Eastwood and Black skip over so many important aspects of Hoover’s life and avoid all the important questions. Rather than digging deeper into compelling aspects like the fact that Hoover had dirt on just about everyone (through warrantless wiretaps), the film instead chooses to focus on menial nonsense like was Hoover really a closeted homosexual. To be honest, who cares? What does the man’s sexual orientation have to do with anything? Will that change your view of him? I wish the film had focused more on things like Hoover’s unfathomable amounts of power and how he was the most feared man in the country at one point. Yes, the film does acknowledge these things but as quickly as it brings them into focus, it drops them to the side. And really, it’s doing such a disservice to the man. We’re talking about J. Edgar here, this is a man who forever changed the way that crime is investigated. Perhaps this is all due to the fact that Eastwood is careful to never take one side over the other. We never really know what the film thinks of its controversial central figure. Was he a good guy or a villain? Was what he did right or wrong? Does Eastwood have an opinion? He certainly should. Now, none of the aforementioned issues should be attributed to the performances, which are all just as good as they should be. DiCaprio is compelling as the titular character yet he never really gets the chance to go as deep as an actor like him could go. He’s held back by the script and as good as his performance is, the film’s messy writing is a hindrance. That being said, it’s still a convincing performance as the star nails Hoover’s elocution and physical mannerisms. Supporting performances are strong as well. Armie Hammer does admirable work as Clyde Tolson, Hoover’s right hand man. Despite some fake looking make-up and a number of awkwardly scripted scenes between him and DiCaprio, relative newcomer Hammer turns in a strong performance, especially considering that this is really only his second big role. He’s able to keep up with his co-stars and holds his own against some of the biggest names in Hollywood. Naomi Watts, Josh Lucas, Judi Dench and others show up in smaller supporting roles and like our two leading men, they offer authentic portrayals of real life figures. Sadly though, not even the best acting in the world can save this film. Ultimately, J. Edgar is borderline insulting in the fact that it could take a story with so much potential and craft such a ho-hum film out of it, especially given the talent involved here. 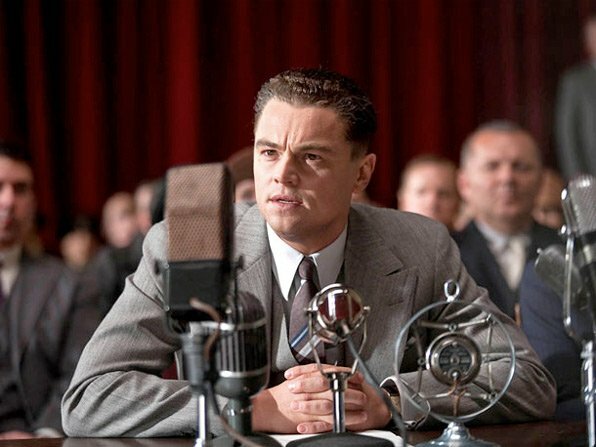 Simply put, J. Edgar could be the biggest disappointment of 2011, hands down. Eastwood’s flat direction and Black’s all over the place script catapult this one into the pile of 2011’s losers. Thankfully, the Blu-Ray transfer itself is better than the film. Visually, the stark image stays true to its source as Warner Bros. offers up an appealing transfer. Refined detail, especially on faces, is always apparent and colours always feel accurate. The crisp transfer makes sure that nothing is lost and that we always get a true and authentic image to feast our eyes on. Even with the unobtrusive layer of grain, this still retains its cinematic look. The mostly dialogue driven track is solid as well. Words are clear and easy to make out while the mild ambiance that appears all sounds appropriate. There isn’t much activity going on here but what’s provided is hard to fault. As for features, all we get is one little documentary titled J. Edgar: The Most Powerful Man in the World. It runs for about 20 minutes and features interviews with the cast and crew as they shed light on Mr. Hoover. It’s nothing to write home about yet those looking for a bit more information on the man may want to check it out. Overall, I don’t see much reason to pick this one up. Aside from some strong yet not jaw dropping performances from the main cast, the film doesn’t offer much. It’s a dull and uninspired affair that is made all the more frustrating due to the fact that it could have really been something great. If you’ve seen it you know the deal but for those who still haven’t had the chance, unless you’re really fascinated with the subject material, I’d say skip it.